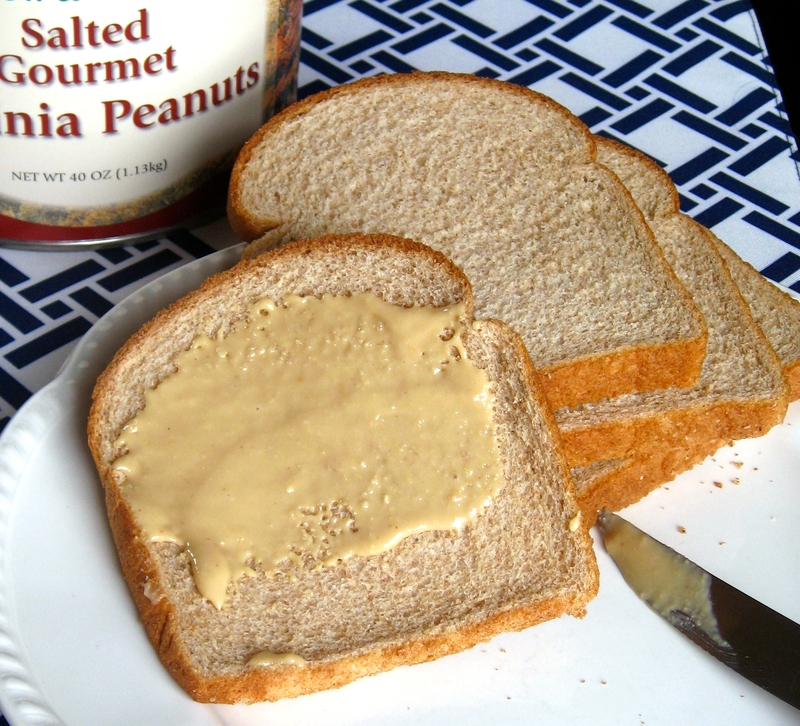 There’s a big, big difference between natural peanut butter made at home and storebought natural peanut butter. My stuff spreads like a dream. My stuff doesn’t separate. And my stuff doesn’t cost $6 a jar. I just dumped about 1.5 cups of salted peanuts into my food processor and turned the on button. I processed the nuts for about 3 minutes and then streamed in about 1 tsp of flavorless (safflower) oil. I let the processor work a little more and got this. It was nutty but subtle and just plain delicious. Great for my vegetarian chili. And great with a spoon. I need to get a food processor – can you believe I don’t have one?! It’s madness, I tell ya! I feel like homemade nut butters are becoming a thing. I want to make my own almond butter now! Yum! How long does it keep for? Do you store it in the fridge? I kept this batch for about 2 weeks in the refrigerator. It was in a glass bowl and covered with plastic wrap. It was always very easy to spread, even when cold. This is like the peanut butter I grew up with! I’m a firm believer peanut butter should have 2 ingredients, peanuts and oil. How easy! I will have to try that. I loathe trying to mix up the peanut butter. It’s these simple things that I never think to do! Thanks for the reminder.